While watching your favorite teams compete in March Madness, take a time out during commercial breaks to stretch. Flexibility is an overlooked component of exercise that improves your range of motion, which increases your ability to engage in all different types of physical activity. You do not need to go to yoga to improve your flexibility. The most recent physical activity recommendations suggest stretching as an easy and effective means to increase flexibility. Relax by taking a few deep breaths during stretches. Make smooth/slow movements instead of jerky/quick motions. Stretch until feeling a gentle pull; if you feel any sharp pain or discomfort, you have stretched too far. Hold stretches for a total of 15–30 seconds. Forward Bend—When sitting/standing, reach your hands toward your toes. Hold for 15–30 seconds. Wall Push—Stand 12–18 inches away from a wall; lean forward, pushing against the wall with your hands and keeping heels flat on the floor. Hold for 15 seconds; repeat 1–2 times. Hip Flexor Stretch—With both knees on the floor, bring one leg forward placing your foot flat on the floor and your knee at a 90-degree angle. Push your hips forward until you feel a stretch in your front thigh, near the groin. Keep your torso upright and front knee behind your toes. Hold for 20-30 seconds on each leg. Visit the American Heart Association for more stretches. 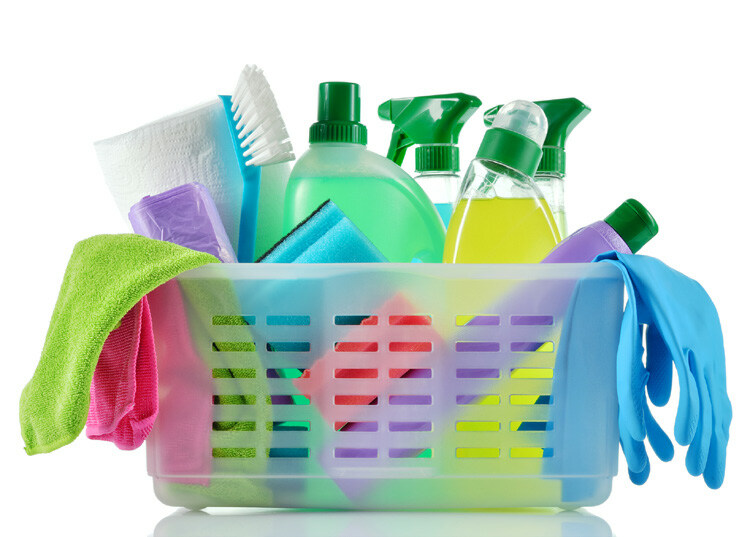 With spring cleaning right around the corner, it’s important to prioritize what needs cleaning in our homes. According to the National Sanitation Foundation, the kitchen is the dirtiest place in the household. This place where meals and snacks are prepared and served daily tends to have the most germs. The “germiest” area in the kitchen as well as the second “germiest” item in the household is the sink. This spring, clean everything and the kitchen sink to reduce germs in your home. Wash and sanitize the sides and bottom of the sink once or twice a week with disinfecting cleaner or in a solution of 1 tablespoon bleach to 1 gallon water. Clean kitchen drains and disposals every month by pouring a solution of 1 teaspoon bleach to 1 quart water down them. In a nonstick skillet, cook bacon and onions until browned. Remove from skillet, reserve 1 tablespoon bacon grease, and set aside. In a large bowl stir together has browns, potatoes, baking mix, cheese, bacon, and onions. Stir in milk and eggs until mixture is moistened. Heat bacon grease in skillet over medium heat. Measure a generous 1/4 c. of potato mixture into a skillet and add three more 1/4 c. helpings into the skillet. Flatten into pancakes, and cook each side 2 minutes or until golden brown. These pancakes freeze well once prepared. To freeze, let pancakes cool completely, put in a single layer on a baking sheet, place in the freezer, and transfer to heavy-duty freezer bags when frozen. Frozen Produce–Frozen fruits and vegetables are an excellent option when purchasing out of season produce. Frozen varieties are packed with nutrients, sometimes more than fresh items, because they are packaged at the peak of harvest season. Frozen produce is a great way to save money without sacrificing flavor. Frozen Meat, Poultry, Seafood–Fresh animal protein can be expensive behind the counter, but frozen options can be just as nutritious and delicious when carefully selected. Proteins not breaded or fried are the best options. The frozen section is also a terrific place to find several meat alternatives, such as plant-based burgers or tofu meatballs. Check the saturated fat, sodium, and added sugar content on the Nutrition Facts Label; try to purchase products with less than 10% of the Daily Value. Save frozen entrées and pizzas for busy nights; add other items to these meals and snacks, such as steamed vegetables, sliced apples with nut butter, or a side salad, to increase nutrient density. Live Healthy Iowa, sponsored by the Iowa Sports Foundation, is a partner in the Healthiest State Initiative. Live Healthy Iowa offers many challenges and events throughout the year for individuals and communities to get involved in their health. 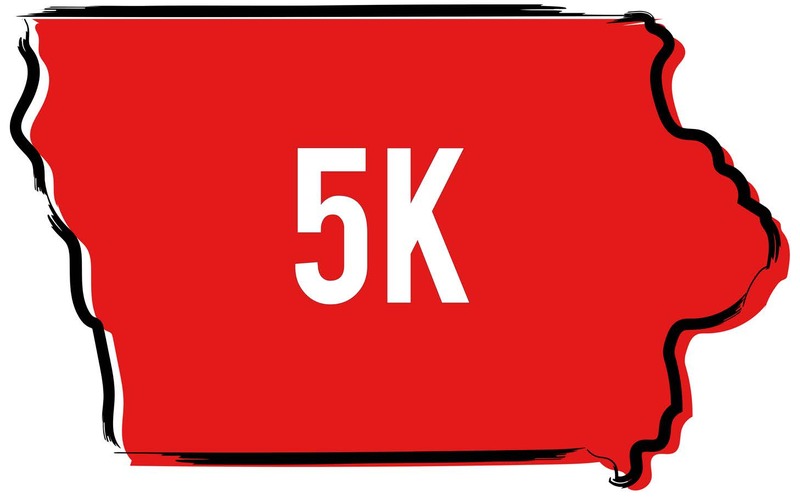 Registration opened on January 14 for the Live Healthy Iowa 5K, scheduled for April 13 this year. The idea of completing a 5K might sound daunting, but it’s easier to do if you approach it slowly. Try a couch to 5K training plan. View a sample plan. There is also a C25K app for your phone for a personalized training plan. How Clean Is That Coffee Machine? 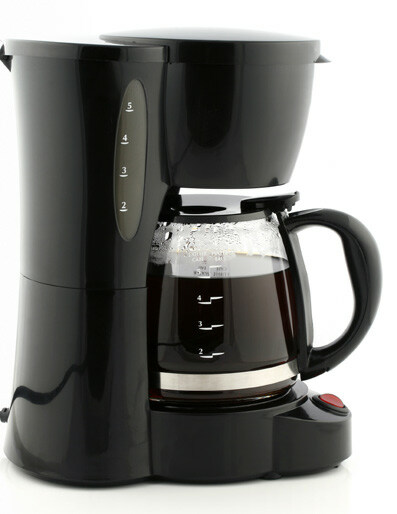 Do you wash your coffee pot every morning, or rinse and reuse the next day? What about the inside of the machine? Do you occasionally run a pot of water or vinegar through? Whether you use a single-use coffee-maker or a traditional multicup machine, they can be difficult to clean, so the rinse-and-reuse method is common. Because coffee is acidic, it should prevent the growth of bacteria. Right? Actually, there are bacteria that are not only resistant to the acidity of coffee, but they also use the caffeine as an energy source. Moreover, these bacteria are able to quickly repopulate the machine after rinsing alone, and bacteria continue to grow in number and diversity the longer the machine is in use. To avoid unwanted contamination of our beverages with harmful bacteria, be sure you clean your coffee machines, inside and out, frequently following the manufacturer’s instructions. Source: Vilanova C, Iglesias A, Porcar M. The coffee-machine bacteriome: Biodiversity and colonization of the wasted coffee tray leach. Sci. Rep. 2015;5:1–7. DOI: 10.1038/srep17163. Leave a Comment on How Clean Is That Coffee Machine? Add the yogurt and strawberries to 1/2 of graham cracker. Top with the other 1/2 of graham cracker. O ne of the biggest buzzwords in current media refers to the smallest subject: the human gut microbiome. This microbiome is a collection of microorganisms living in the human intestinal tract; aka the “good gut bugs.” These good gut bugs help our gut produce compounds needed for digestion and absorption of other nutrients. They also provide protection against harmful “bugs” and support our immune system. These good gut bugs have also been shown to promote brain health. 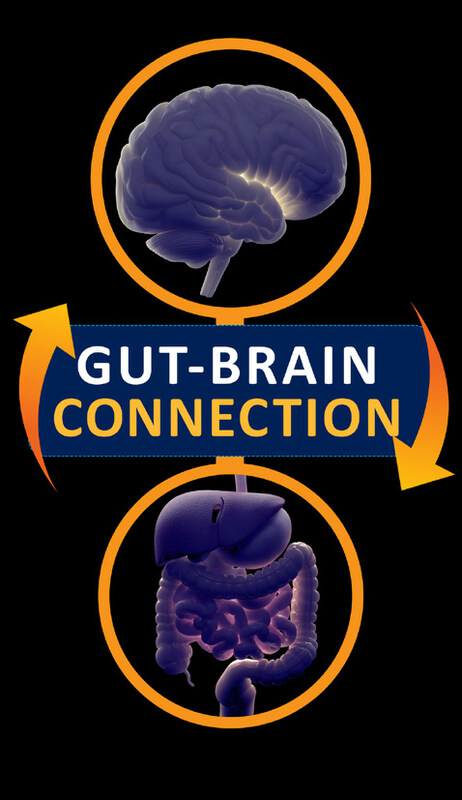 There is communication between the human microbiome and the brain, called the gut-brain axis. This means the health of your gut microbiome may impact the health of your brain—a healthy gut leads to a healthy brain. The best way to take care of your gut microbiome is to focus on your overall eating pattern. Choose fiber-rich foods because increasing fiber can promote abundance of gut bugs. Try fermented foods and foods with pre- and probiotics to improve the variety of your good gut bugs. Prebiotics are plant fibers that promote the growth of healthy bacteria. They are found in many fruits, vegetables, and whole grains, including apples, asparagus, bananas, barley, flaxseed, garlic, jicama, leeks, oats, and onion. Probiotics contain specific strains of healthy bacteria. The most common probiotic food is yogurt; other sources include bacteria-fermented foods, including sauerkraut, kombucha, and kimchi. Shreiner AB, Kao JY, Young VB. The gut microbiome in health and in disease. Curr Opin Gastroenterol. 2015;31(1):69–75. doi:10.1097/MOG.0000000000000139. Foster JA, Lyte M, Meyer E, Cryan JF. Gut microbiota and brain function: An evolving field in neuroscience. Int J Neuropsychopharmacol. 2016;19(5):1–7. doi:10.1093/ijnp/pyv114. Jandhyala S, Talukdar R, Subramanyam C, Vuyyuru H, Sasikala M, Reddy D. Role of the normal gut microbiota. World J Gastroenterol. 2015;21(29):8787–8803. Add fruit to a two-quart pitcher. Gently press fruit with a spoon to release some of the juices. Add ice to the pitcher, then fill with cold water; stir. Serve immediately or chill, covered, in the refrigerator. Recipe used with permission from West Virginia University Extension Service. Is Your Fruit-infused Water Safe? Start with clean hands; wash hands with warm water and soap for 20 seconds. Wash produce thoroughly under cool running water. Use a clean produce brush on firm items such as oranges or lemons. Use clean cutting boards and utensils to avoid crosscontamination. Store infused water in the refrigerator at 40°F or below in a sealed pitcher. If you are taking your infused water on the go, make sure to drink it within four hours. 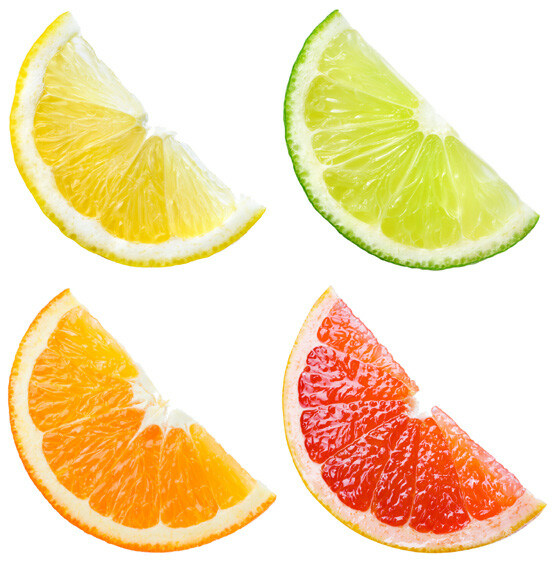 Infused water at room temperature must be used or discarded after four hours to prevent bacteria growth. 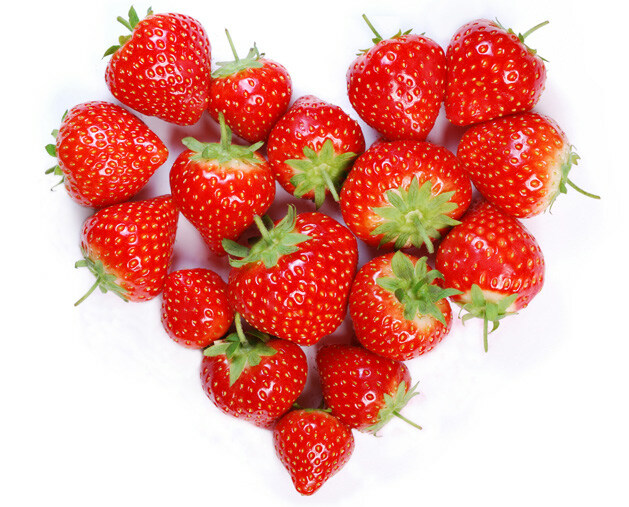 For best results, drain fruit solids within 24 hours and refrigerate water up to three days. Always start with clean equipment for new batches; avoid refilling the same pitcher. 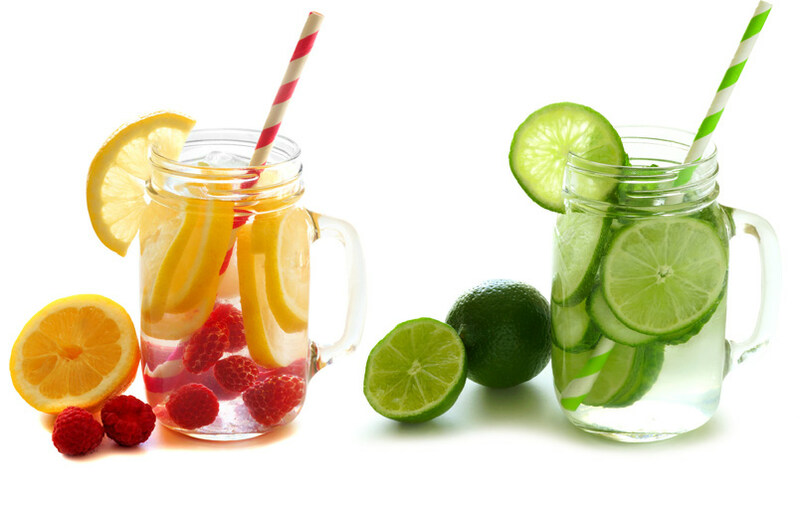 Leave a Comment on Is Your Fruit-infused Water Safe?